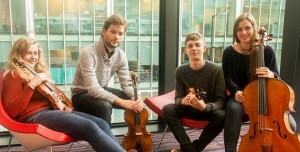 The Barbican Quartet was founded at the Guildhall School of Music and Drama. They won the 2018 St Martin’s Chamber Music Competition and made their Wigmore Hall debut in 2017. 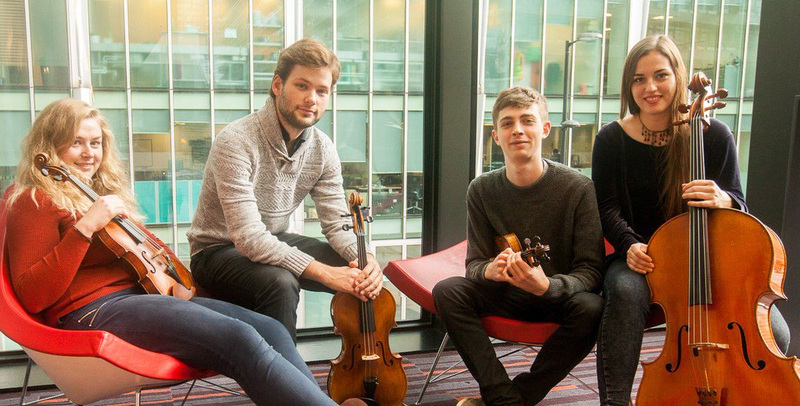 Based in London, the Quartet currently studies with members of the Belcea Quartet here in the UK and with Günter Pichler at the Reina Sofia String Quartet Academy in Madrid. Their programme includes quartets by Haydn, Bartok, Beethoven and Mendelssohn.